There are 2 other types of steel on offer. 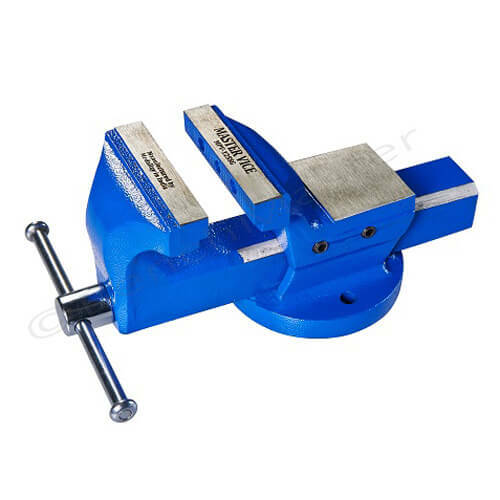 Choose from 1.5 stainless steel or 3mm black steel in the drop down list below. 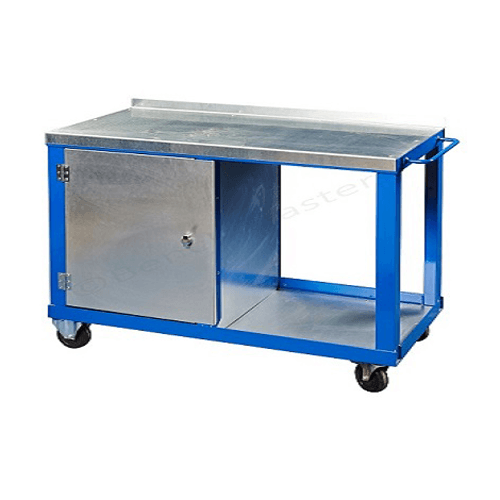 If you are looking for a moving heavy duty workbench, please select from the available castors below. 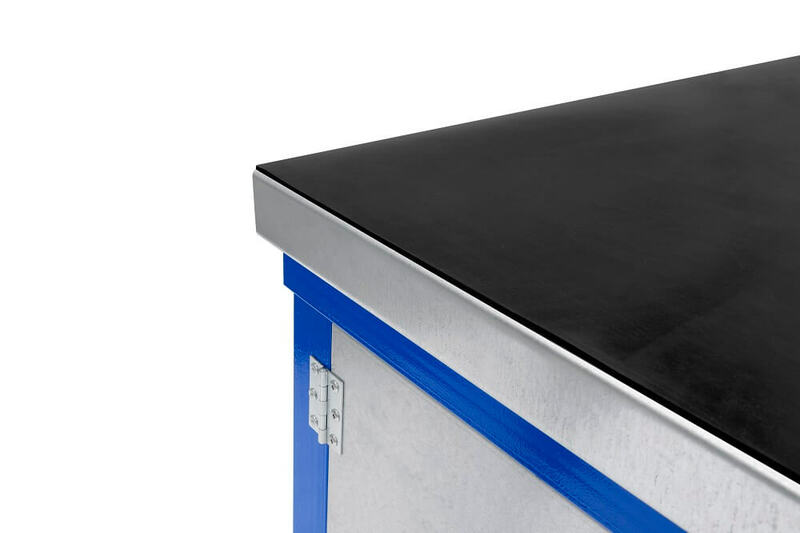 Heavy Duty Workbenches are supplied fully welded and ready to use with a choice of tops - Galvanised Steel, Solid Wood and black rubber on steel. 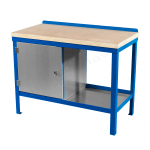 All of these workbenches are supplied with a bottom shelf and a locking cupboard as standard but can be supplied without the cupboard if requested. 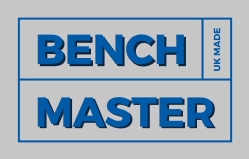 A comprehensive range of optional extras make these hardworking benches perfect for every situation. There are three standard lengths and three standard depths, but other widths and depths are available on request. 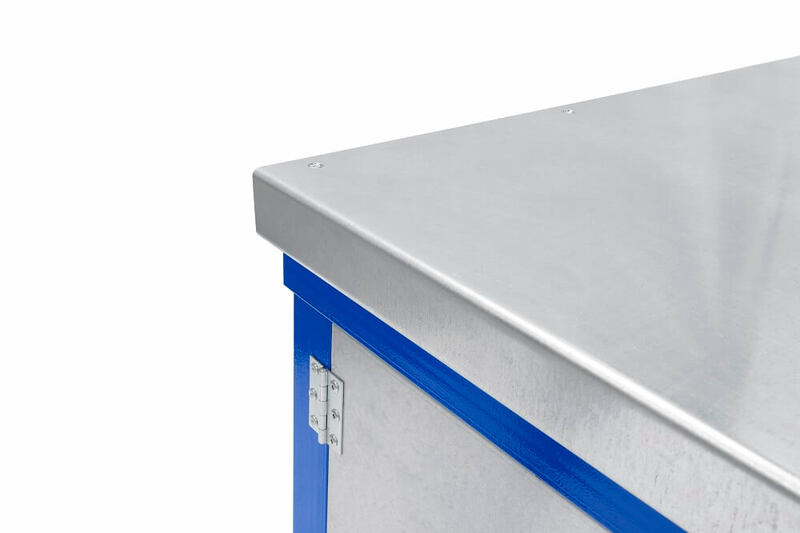 The standard height is 840mm but we can make them to any height at no extra cost. 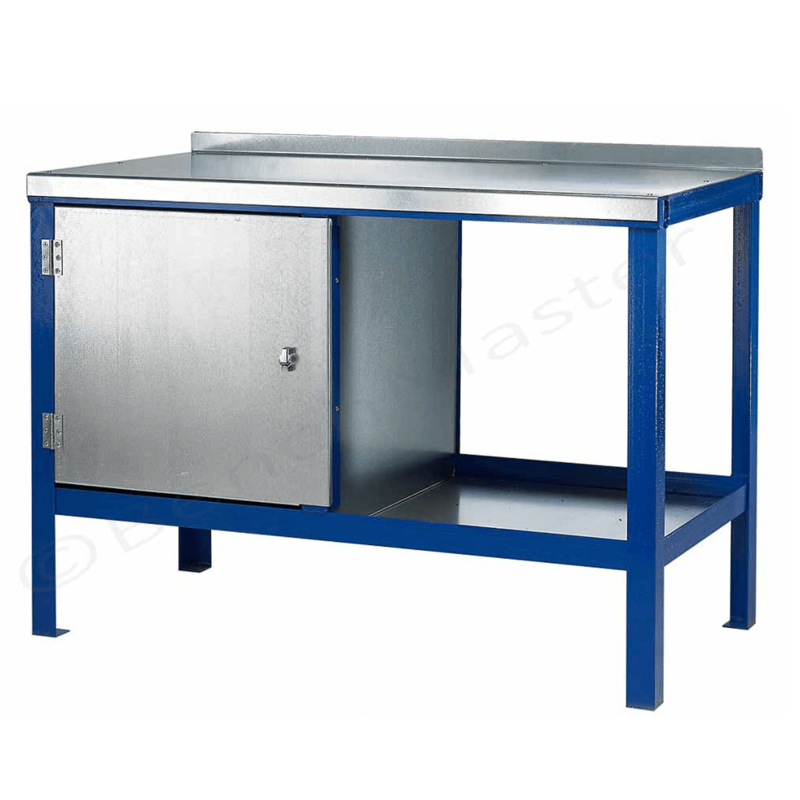 Standard cupboards have a galvanised finish and are full depth of workbench. If cupboard with single drawer or 5 drawer cupboards are ordered then all cupboards are finished in dark grey. 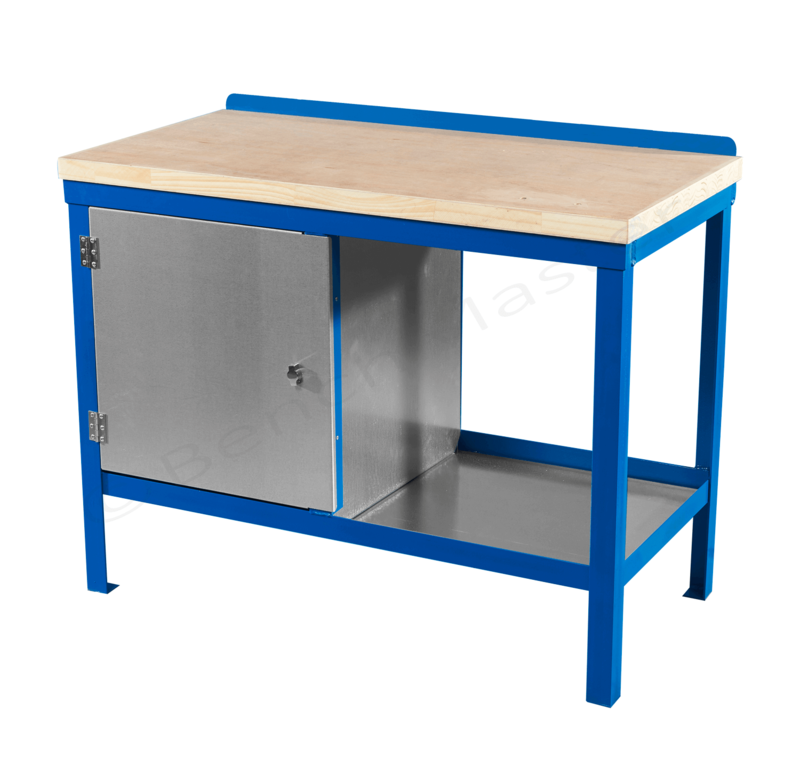 The dark grey finished cupboard has a depth of 457mm and has a middle divider. 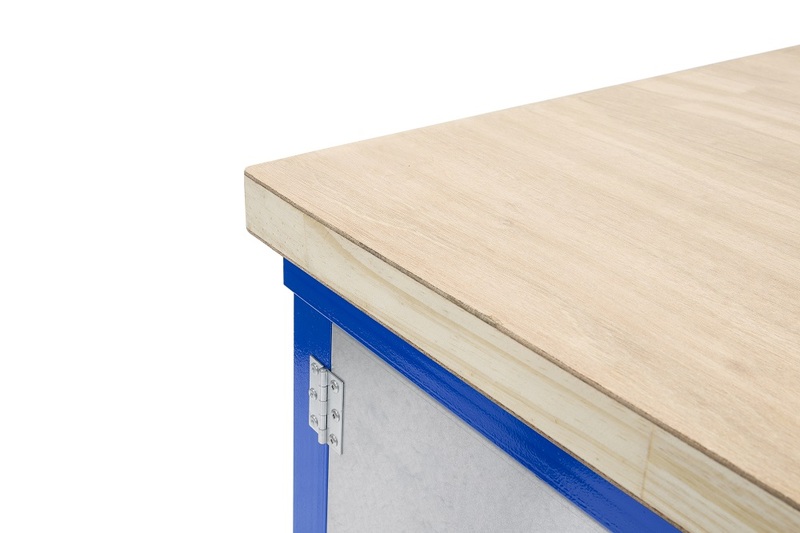 The standard cupboard is the depth of the workbench and 600mm wide. 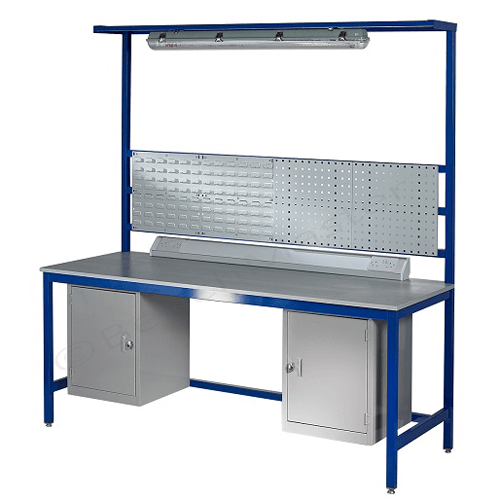 The uniformly distributed load (UDL) is 1000kg for each standard workbench. 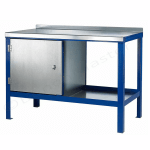 All our Heavy Duty workbenches are supplied with a useful cupboard fitted to the left of the bench. To remove the cupboard, simply select that option from the drop down list below under ‘Cupboard Accessories. 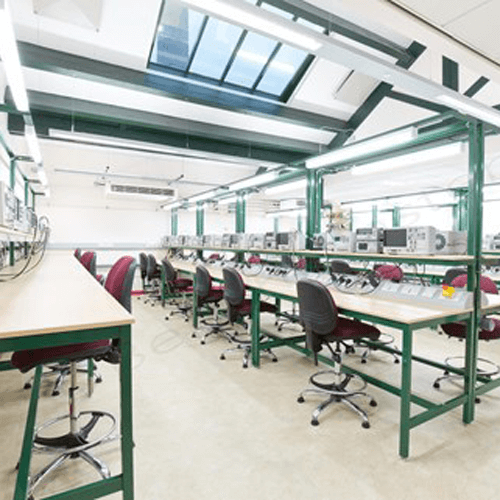 The lead time on the heavy duty range is approximately 10 working days.